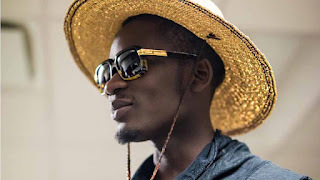 Hollup singer, Mr. Eazi has apologized to aggrieved fans across Nigeria over his controversial statement. He tendered the apology through his twitter handle during the week. This didn’t go down well with the Nigerian fans, as they took the statement from an unappreciative standpoint, going emotional on the singer. Industry pundits are of the opinion that it was insensitive of the afrobeat singer to have made the statement, due to the competitive atmosphere that exists between Ghana and Nigeria’s music industry. However, some industry figures rose to his defense. Ovie Ofugara, co-owner of NotJustOk and Cool FM OAP and hype man, Oladotun Ojuolape Kayode, both agreed that Nigerian sound is heavily influenced by Ghanaian music. Christened Oluwatosin Ajibade, Mr Eazi is signed to Wizkid’s StarBoy Worldwide label, and has collaborated with famous names in the Ghanaian music industry, such as Sarkodie, Efya, and Pappy Kojo. The Zagadat promoter, who made a breakthrough into the Nigerian music industry with the song, ‘Skin Tight’ had a stellar 2016 in the music scene, winning also the Soundcity MVP award for Best New Artiste.